Santanyí is a municipality and a city in the southeast of the island - a pretty, rural and authentic Mallorcan place. 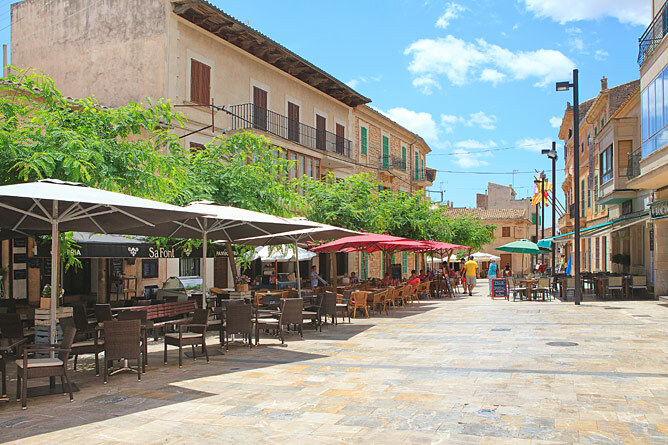 With a privileged location inland, but very close to more than 48 km of beautiful coastline and the second largest natural park of the Balearic Islands, this village with its golden sandstone buildings is surrounded by breathtaking nature. 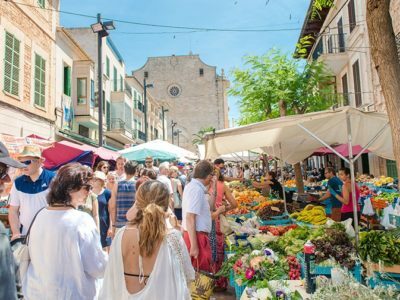 If you combine these requirements with a relaxed atmosphere and a few fine restaurants and hotels, you will get the ingredients that make Santanyí so special. Below we provide you with all the information you need to enjoy a visit to this quiet, enchanting southern town. Caló de sa Torre, named after an old defense tower, built in 1626 in the outer east of the area to warn of the threat of piracy by the Saracens and now half ruined, is located 4.5 kilometers from Cala d'Or. This fine sand gently sloping beach is formed by two small bays, which are divided by a low rock outcrop. As for the rest of the rocky area of this zone, the owners of the private beachfront homes have installed small stairs to access the water. The water and underwater conditions are not suitable for anchoring large boats, as many shoals are present, even if there are some sandy ground in the estuary. Punta de sa Torre protects from the winds on the beach of the same name. The closest port facility is located at Reial Club Nàutic Portopetro, 0.7 nautical miles away. Driving directions to Caló de sa Torre from s'Alqueria Blanca or Portopetro is easy, just follow the signs. On arrival you can leave the car in the well-kept environment of secondary houses. The number of visitors to bathers is medium high. 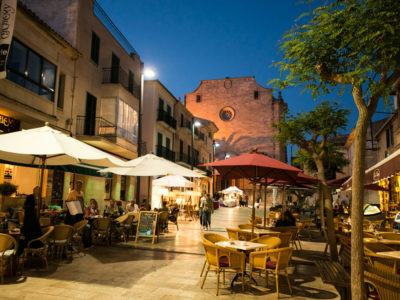 The bays of sa Torre and dels Homos Morts belong to Portopetro, a wonderful harbor in the south, between Mondragó and Cala d'Or and known for the excellent quality of its fish dishes, especially the Caldereta de Langosta. 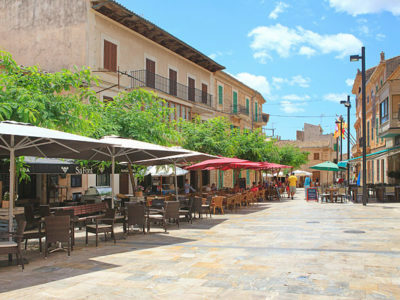 Porto Petro is a small town in the Majorcan town of Santañy, southeast of the island. The main magic is undoubtedly the beautiful natural bay that surrounds it. The spectacular views that this bay offers and its bays attract many tourists who are curious about this destination and want to know more about Porto Petro. 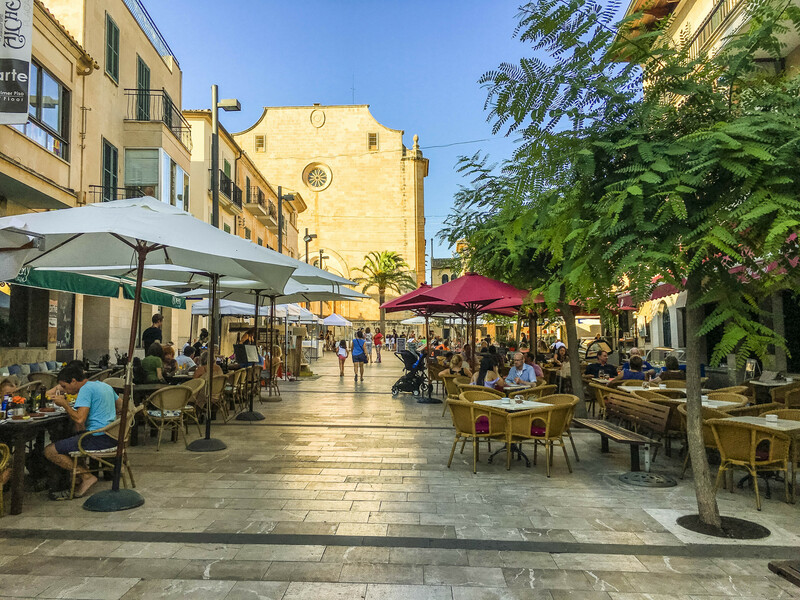 With less than 800 inhabitants, it is a perfect place to spend a few days away from the hustle and bustle of Palma. Come and explore the streets, enjoy some of the restaurants overlooking the sea and spend a pleasant day at one of the beaches to fully enjoy all corners of the city. Cala Mondragó has one of Mallorca's best beaches in the southeast of the island. 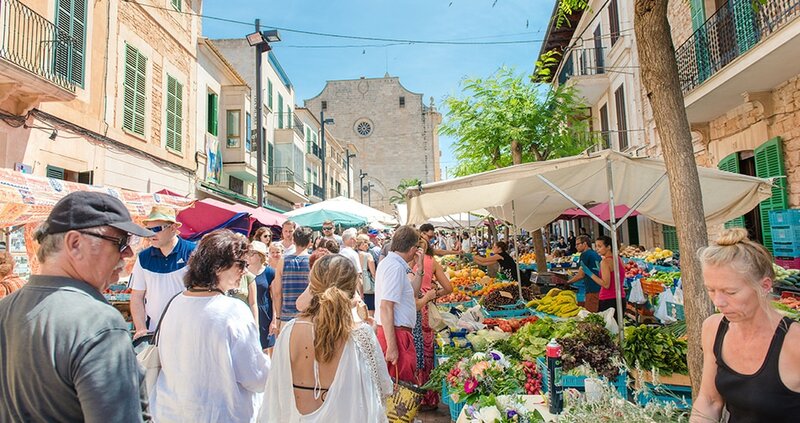 The bay is just 10 kilometers from the rural town of Santanyi and the popular seaside resort of Cala d'Or. The beach of Cala Mondragó is one of the best among the blue flag beaches. The explanation of the bay and its surroundings to the nature park in 1992 has contributed significantly to the positive development of the area, because the new status protected them from building and mass tourism. Although the beach can get crowded during the summer months, it is clean and largely untouched. This is certainly due to the respectful treatment of the beach visitors, who appreciate the natural beauty of the beach and respect its status as an environmentally friendly beach.